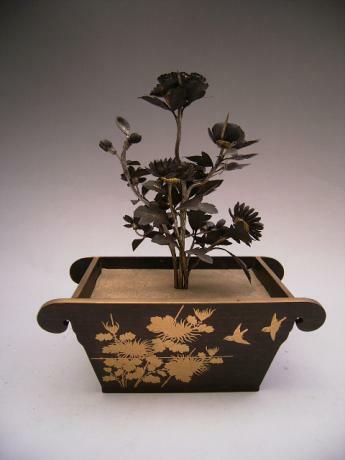 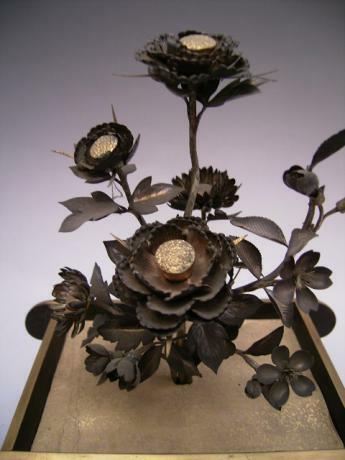 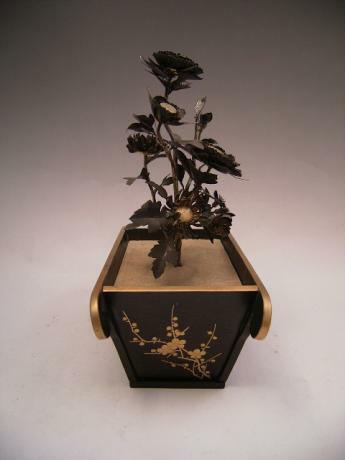 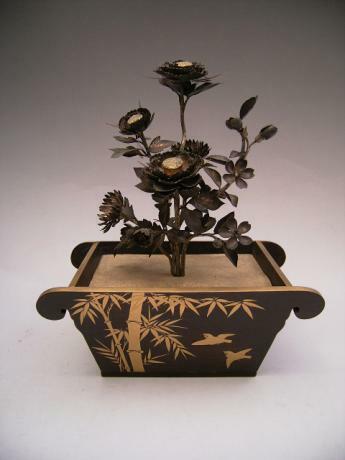 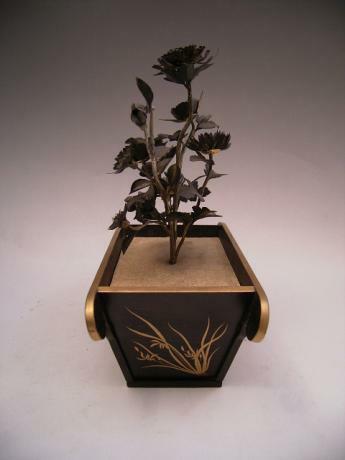 Description: Japanese Meiji Period gilded floral arrangement with peonies, chrysanthemums and cherry blossoms in a black and gold lacquer planter. 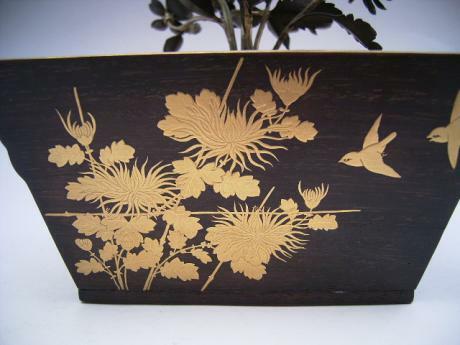 The planter has bamboo and swallows painted in gold lacquer in front, cymbidium orchids and plum blossoms on the sides and chyrsanthemums and sparrows in the back. 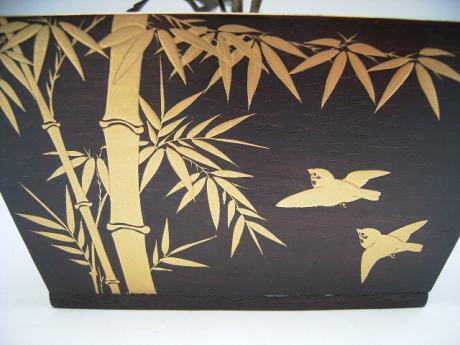 Comes with original storage box. 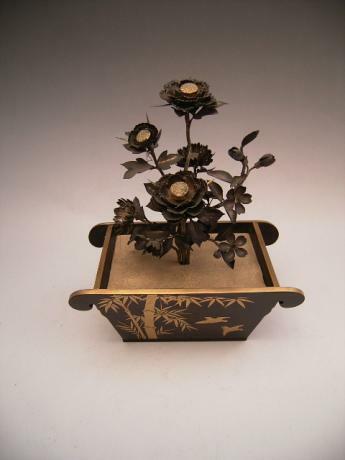 6 5/8" wide, 3 5/8" deep and 8" tall.